Spring has sprung! The sun is shining, the temperatures are rising, and flowers are starting to bloom. Little pops of color are spreading across gardens, fields, and lawns. With each new opening petal, there’s no denying that the new season is well on its way. This spring, stop and smell the flowers. Pull over and admire a field of wild blossoms. Take photographs at a flower festival. Or go for a hike and see what nature reveals. When do wildflowers bloom? Right now! That’s why we’re revealing the best places to see flowers this spring. From botanical gardens to flower farms, these are the best destinations for seeing nature’s palette. 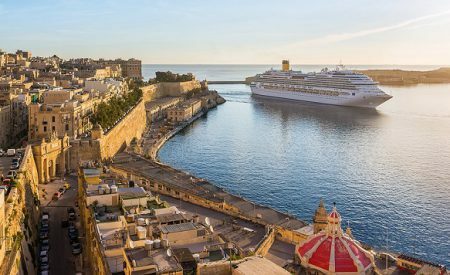 Pack your bags and start sightseeing! It’s no wonder they like to call Rochester Flower City. After all, the Rochester Lilac Festival is a big deal in Upstate New York. This free, 10-day event in May celebrates the lilac flower bloom. In 1890, horticulturalists first planted flower seeds in Highland Park. When they bloomed, a celebration ensued, kickstarting a beloved tradition. This year, Rochester is hosting its 121st edition of the festival. Visit Highland Park, where you’ll see the nation’s largest collection of lilacs. While you’re exploring the park, check out the Pansy Bed of 10,000 flowers and the grove of azaleas. Swing by the Maplewood Park and Rose Garden for the Maplewood Rose Celebration. Tour the Sunken Garden at Warner Castle. After admiring the blooms, rest at one of the best Rochester hotels. This year marks the 90th anniversary of the Holland Tulip Festival. Though celebrating Dutch heritage is a main focus of this event, the tulips are the star of the show. Visit during the first week of May, and you’ll witness more than 5 million tulips in bloom. The colorful petals pop up all around, decorating 8th Street and storefronts. For the best vantage point, head to Windmill Island Gardens and tour the De Zwaan windmill. From there, you can oversee the tulip-laden gardens. 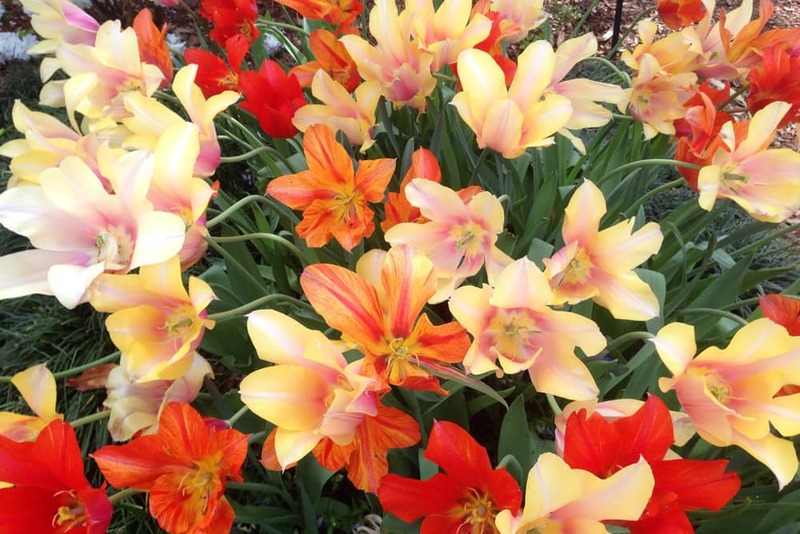 Visit Veldheer Tulip Farm and mosey around tulips, daffodils, hyacinths, and more. See the blossoms in Centennial Park. Ready to relax? Pick from any of the hotels in Holland, MI. Home to 200 acres of wildflowers, Wildseed Farms is your go-to spot to see an endless sea of petals. 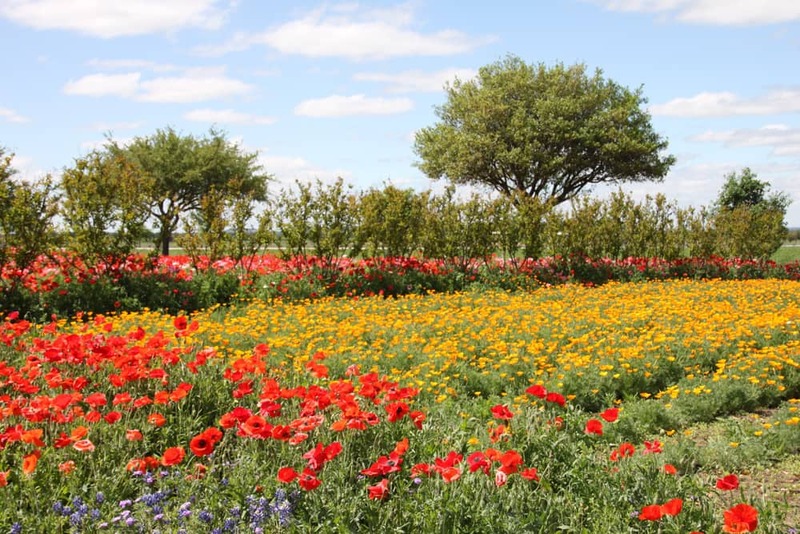 It’s the largest working wildflower farm in the nation, so you can expect only the best display. Sip on a glass of wine made with Texas Hill Country grapes, and stroll along the half mile of walking trails. 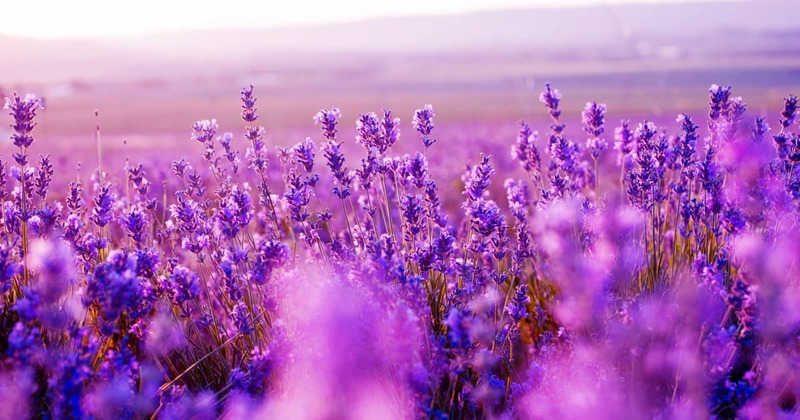 The bloom usually begins late to mid-March, and usually lasts through October. Visit the Lady Bird Johnson Municipal Park and discover the wildflowers. You may spot black-eyed Susan, pink evening primrose, and lazy daisies, among many others. Cruise along the Willow City Loop. All kinds of wildflowers blanket the hillside along this 13-mile country road. Take a break and book a room at one of the Fredericksburg, TX hotels. 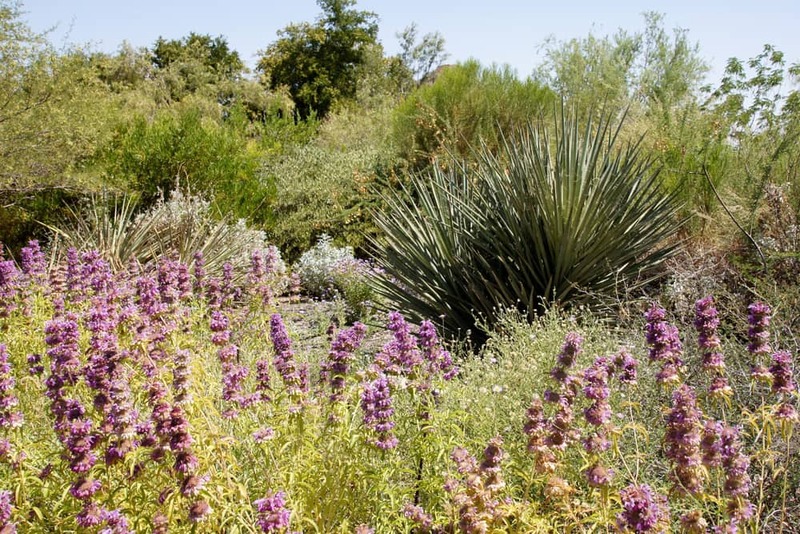 Phoenix’s desert landscape may surprise you when it comes to wildflower viewing. First stop on your senior vacation? The Harriet K. Maxwell Desert Wildflower Loop Trail at the Desert Botanical Garden. Unique desert flowers burst to life in spring in the Sonoran Desert. With more than 50,000 plants across 140 acres, you’ll have photo opportunities galore. However, visiting this garden is only one of the many amazing things to do in Phoenix while you’re in town. Visit between March and May to catch the garden’s Spring Butterfly Exhibit. Head to nearby Estrella Mountain Regional Park and see Mexican gold poppies and lupines. After tracking down wildflowers, spend a few nights at one of the top Phoenix hotels. Set your sights on a sea of flowers, minutes from the actual ocean. 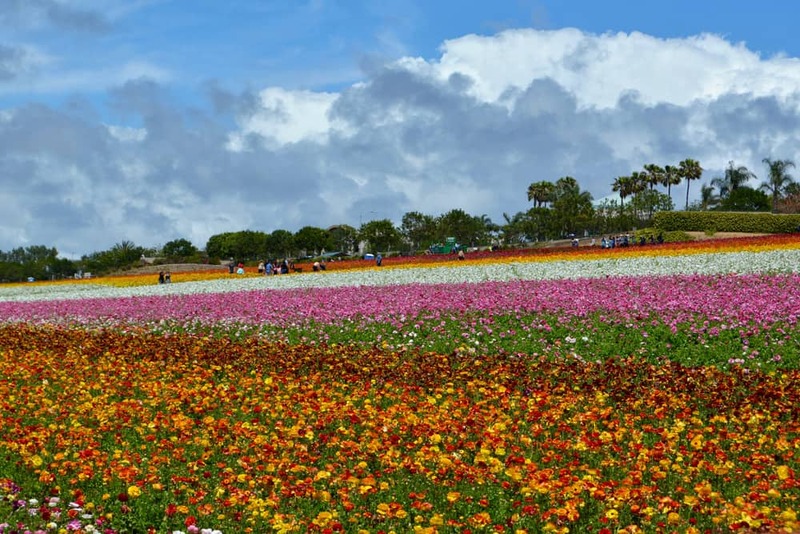 The Flower Fields at Carlsbad Ranch are unlike anything you’ve ever seen. Bright colorful strips of Giant Tecolote Ranunculus flowers decorate 50 acres of land. The whimsical display is a result of nearly 100 years of cultivation. Join a guided wagon ride tour to learn more about these brilliant blossoms and the history of the farm. Challenge yourself to the Sweet Pea Maze at the Flower Fields. If you don’t mind a road trip, head 90 miles east to the Anza-Borrego Desert State Park. The desert super bloom is out of this world! Don’t rush off. Stay at one of hotels in Carlsbad and explore the rest of the region. Texas is famous for its bluebonnets blooms, but you’ll find much more than those blue petals in Dallas. Visit during Dallas Blooms at the Dallas Arboretum and Botanical Garden. This floral festival, from late February to early April, is one of the largest in the Southwest. The 500,000 tulips are the main attraction, but there are thousands of other varieties in bloom. Explore the array of spring flowers, and don’t miss the giant topiary. Afterward, don’t miss all the other amazing things to do in Dallas during your stay. Search for fresh blooms in the Main Street Garden. 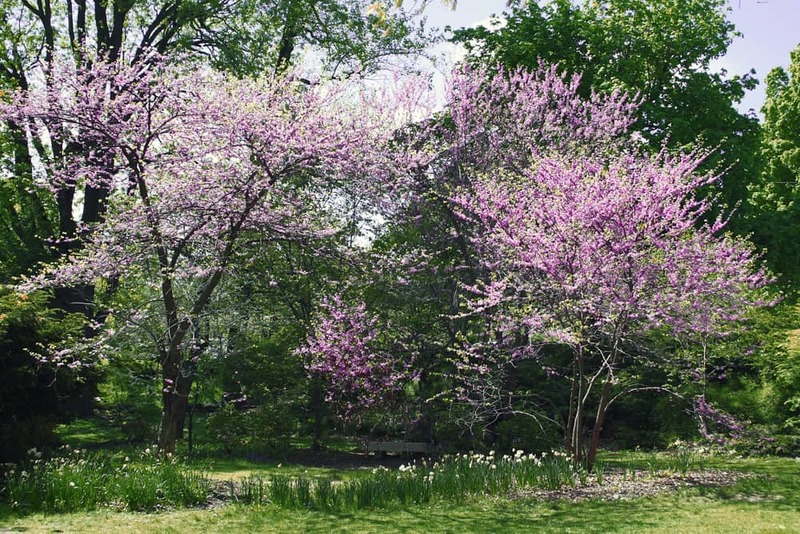 Visit the neighboring Fort Worth Botanic Garden to admire more blossoms. 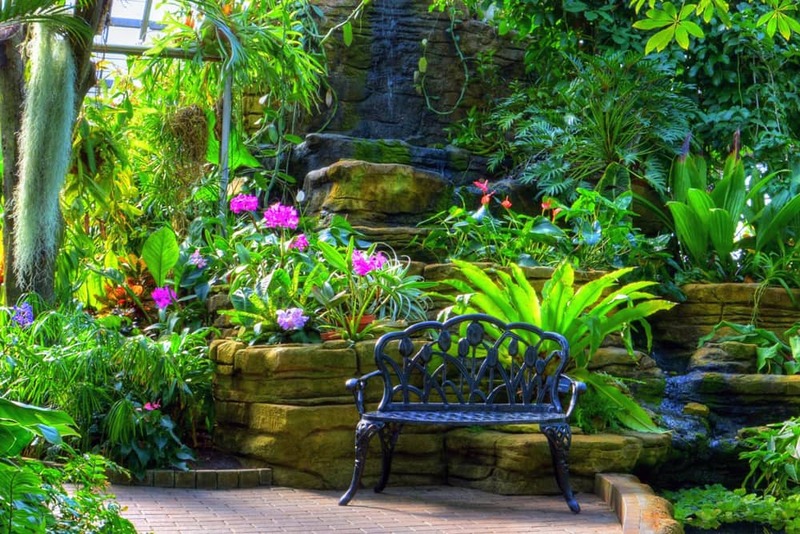 Spend an afternoon among the flowers at the Texas Discovery Gardens at Fair Park. Choose from a variety of hotels in Dallas for your flower trip this spring. Traveling to see flowers? Take a trip to Woodburn, where the floral displays are magical. 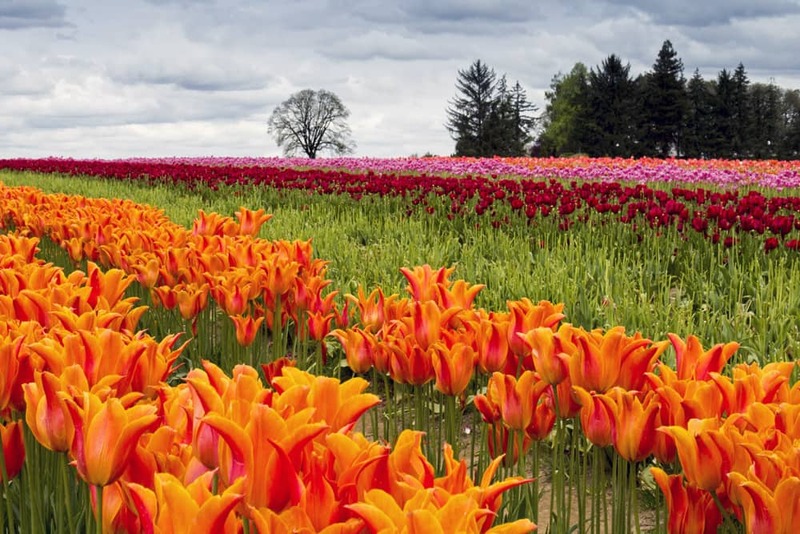 In the northern Willamette Valley, Woodburn is home to the annual Wooden Shoe Tulip Farm. 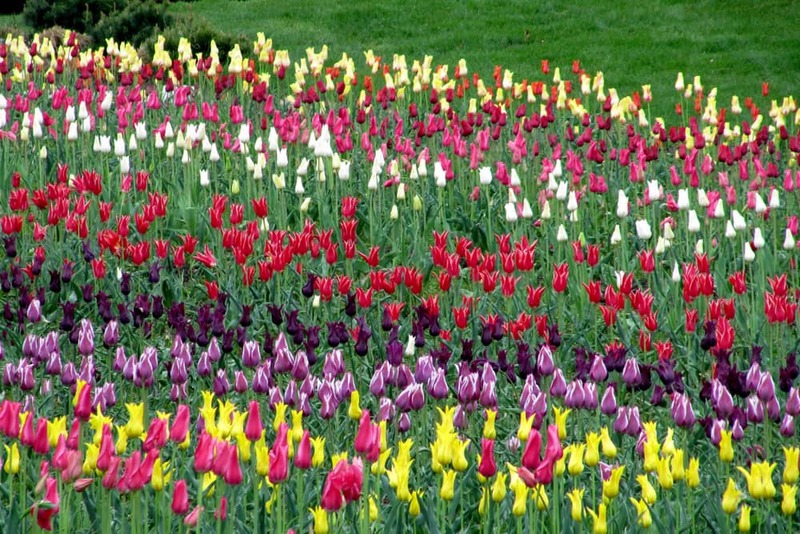 Place this farm on your itinerary and prepare to see 120 varieties of tulips and daffodils. Better yet, visit during the Wooden Shoe Tulip Farm Festival in March and April! Along with viewing the flowers, visit the marketplace, meet Tulip the Cow, and book a hot air balloon ride. You can even take some fresh-cut flowers home with you. Check out the floral arrangements at the Oregon Garden in neighboring Silverton. Pick from our selection of Woodburn, Oregon hotels for your next adventure. Senior travelers find plenty of things to love about Richmond, and the gardens are one of them. 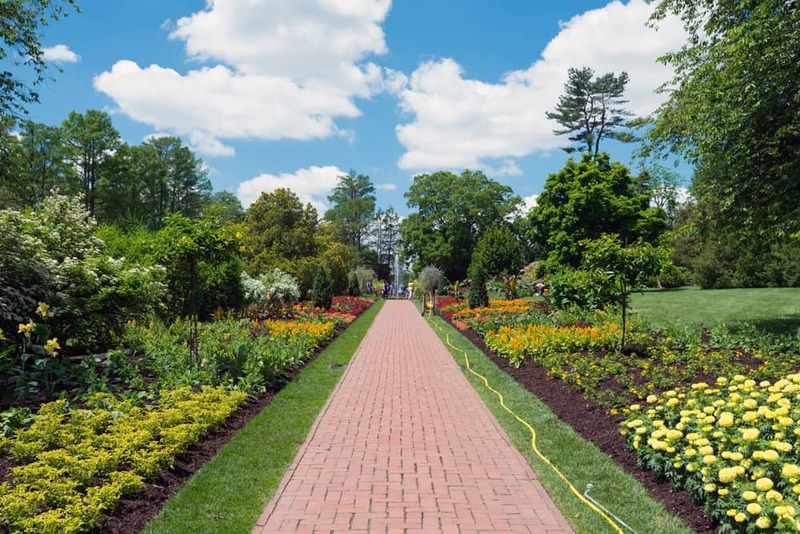 Begin your floral exploration at the Lewis Ginter Botanical Garden. With more than a dozen themed gardens, it’s no wonder it’s a favorite. Step inside the Conservatory, and then explore the Cherry Tree Walk and Asian Valley. April 1 marks the start of A Million Blooms, an event series in celebration of spring. This garden is just one of the many incredible things to do in Richmond. Drive over to Agecroft Hall and Gardens in Windsor Farms. The manicured gardens are immaculate! Tour the grounds at the Maymont estate, which features three gardens and an arboretum. There’s so much to see in this part of town. Book one of the hotels in Richmond, VA, so you can see it all. Ever since 1968, visitors have been flocking to Muskogee each spring. Once you see the spread of azaleas for yourself, you’ll understand why. 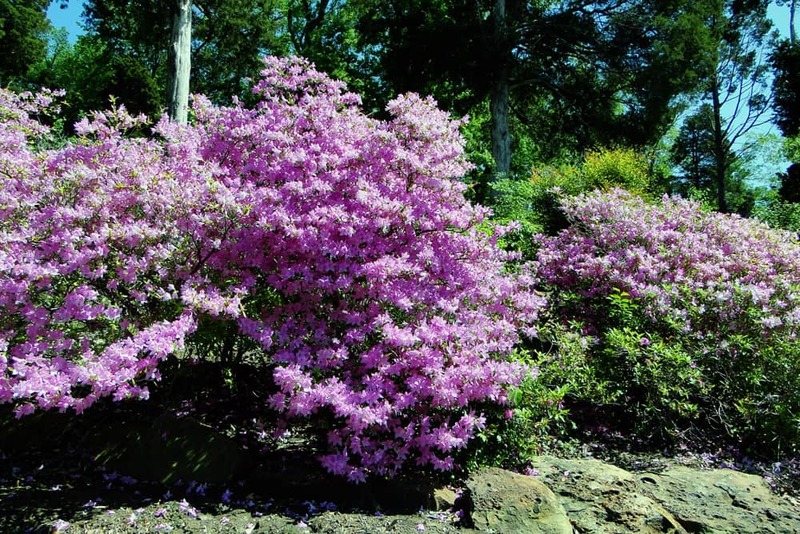 Each April, the city hosts the annual Azalea Festival at Honor Heights Park. Here you’ll witness wisteria, dogwood, and tulip buds, but the azaleas are the main attraction. The park bursts to life with more than 30,000 azaleas in 625 varieties. Check out the 40 acres of flowers, and don’t miss the numerous events and activities throughout the month. 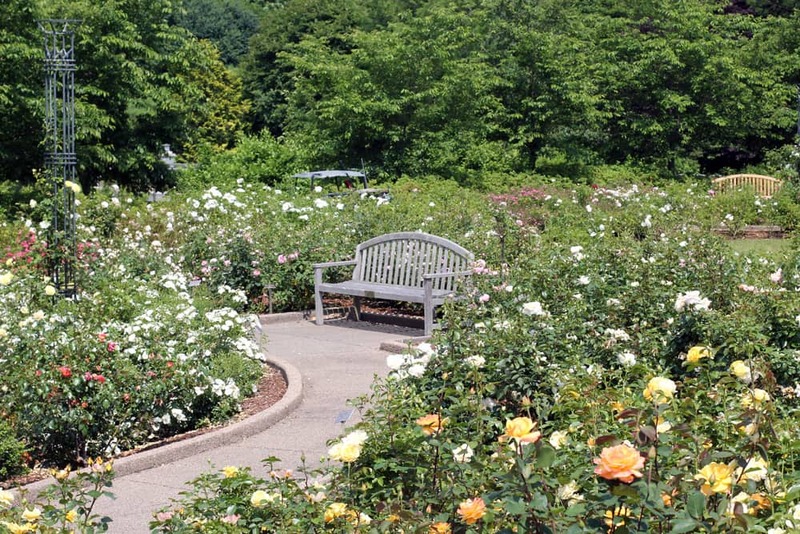 Check out the lovely Conard Rose Garden while you’re at Honor Heights Park. Search for wildflowers during a hike at nearby Greenleaf State Park. Explore beyond the flowers while you’re in town. Pick from the top Muskogee, OK hotels and stay for a bit. Take your senior travels to Greater Philadelphia this spring. With more than 30 gardens within 30 miles of one another, it’s no wonder they call it America’s Garden Capital. Each March, Philadelphia hosts the Philadelphia Flower Show. Touted as the largest and oldest indoor flower show of its kind, the event dates back to 1829. Don’t worry if you miss the flower show though. There are tons of events going on at the various nearby gardens throughout spring and summer. Bring your grandkids along for a visit to the Camden Children’s Garden in nearby Camden, New Jersey. See what’s in bloom at the Longwood Gardens in Kennett Square. Browse through our selection of Philadelphia hotels, so you have a place to stay while you’re in town. Though a short drive from another favorite on this list, Canby deserves its own spotlight. 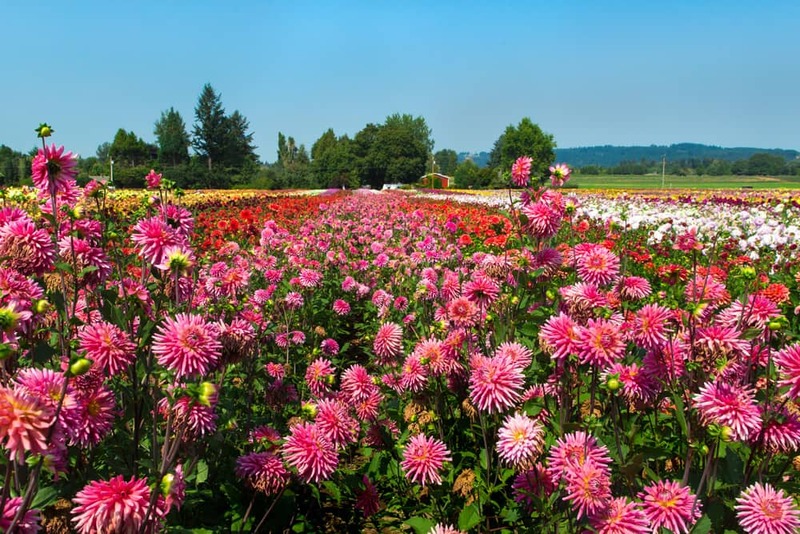 Visit this Oregon city and discover Swan Island Dahlias, the star attraction. Considered the largest grower of dahlias in the nation, the farm plants more than 10,000 seeds a year. To see the best of the 360 varieties, visit during the Annual Dahlia Festival. Here you’ll admire more than 400 arrangements of 15,000-cut dahlias. Unlike many floral events, this festival doesn’t take place until late August, so you have time to plan a trip here! Visit the Patrick’s Community Garden and Baker Prairie Community Garden to see what local involvement can create. Explore the region and find out why they call the city The Garden Spot. Start planning your trip and book one of the Canby, Oregon hotels. It’s one thing to see flowers grow in their natural state, but it’s another to see them arranged into masterpieces. Visit the Polly Horton Hix Design Garden at the White River Gardens to see unique floral designs. After moseying around the 12 garden “rooms,” head to the Hilbert Conservatory. In spring, 40 species of butterflies flutter around the conservatory, filled with flowers. Before leaving, make time to explore the Heritage Garden and check out other things to do in Indianapolis. Experience the manicured grounds at the Lilly House and Gardens. Spend an afternoon at Garfield Park, Conservatory, and Sunken Gardens. There’s so much to see! Stay at one of the Indianapolis hotels for downtime after exploring it all. 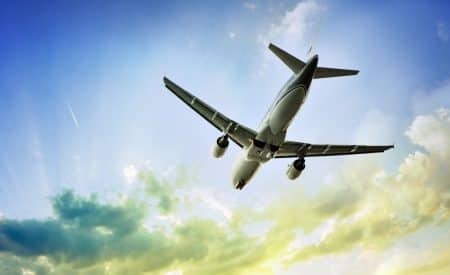 AARP members earn discounts on hotels, car rentals, and airfare. Sign up today to start receiving perks.